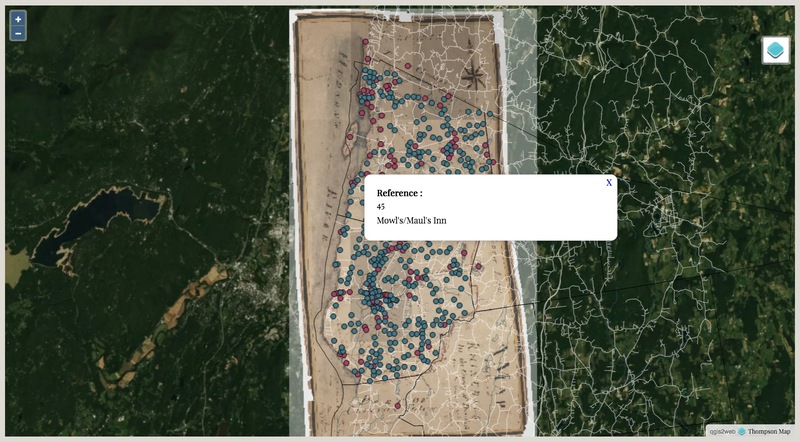 Crowdsourcing Historic Maps is a mini-lab under the Digital History Lab. The aim of this project is to provide a means to engage with an historic landscape through the representation on the map and to lessen the visual and conceptual distance between the information as it was originally presented and our expectations for a map today. 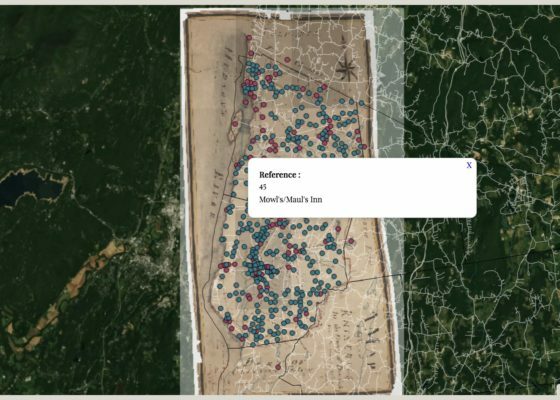 Crowdsourcing Historic Maps is a mini-lab under the Digital History Lab. This project draws on the rich culture of local history in northern Dutchess County, New York. 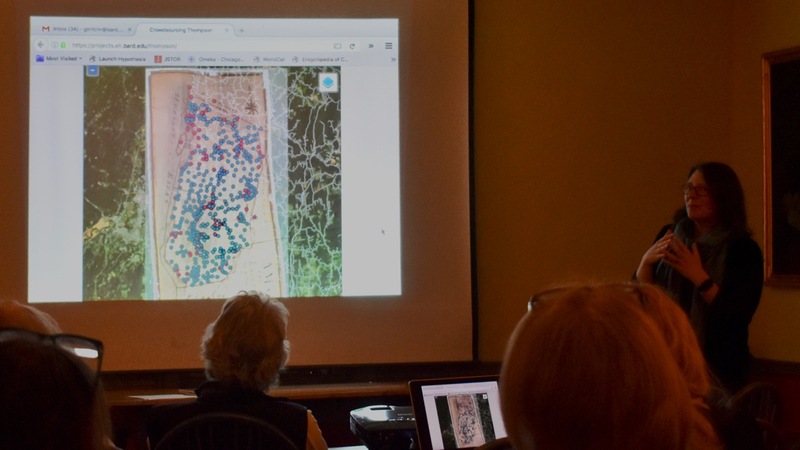 In collaboration with Historic Red Hook, we announced and distributed the first map for crowdsourcing at a public presentation in the historic Elmendorph Inn on March 2, 2017. 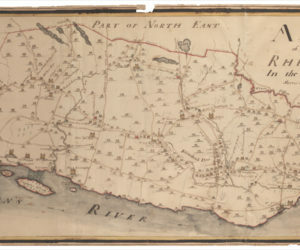 This historic map was made by Alexander Thompson in 1798 and includes present-day Rhinebeck as well as Red Hook and Tivoli. There are four known versions of this map. The version used here is from Bard College’s Montgomery Place collections, and we begin with this version of the map because it has the most named points of the four. The aim of this project is to provide a means for current residents, as well as anyone interested in the local history of northern Dutchess County, to engage with an historic landscape through the representation on the map and to lessen the visual and conceptual distance between the information as it was originally presented and our expectations for a map today.The aim of this project is to provide a means for current residents, as well as anyone interested in the local history of northern Dutchess County, to engage with an historic landscape through the representation on the map and to lessen the visual and conceptual distance between the information as it was originally presented and our expectations for a map today. 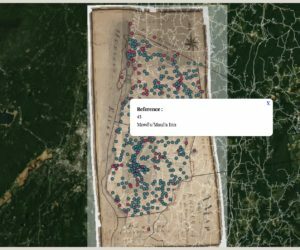 In spring 2016, students in an Historical HGIS class at Bard College continued the work started by Rhinebeck historians, Nancy V. Kelly, Arthur Kelly, and Patsy Vogel, in identifying each named point on the map. The students from the HGIS course did preliminary research, which is included in the crowdsourcing map. 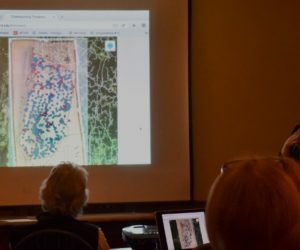 In spring 2017, Gretta Tritch Roman and Arti Tripathi re-georeferenced the map and added points for the unnamed buildings included on the map. The form they distributed with the interactive map requests information that does one of the following: 1) corrects information about any point already researched; 2) identifies an extant building that is represented on the map; 3) identifies the property where a building on the map is now gone. Work will continue in updating the research database for each point as contributions clarify points. 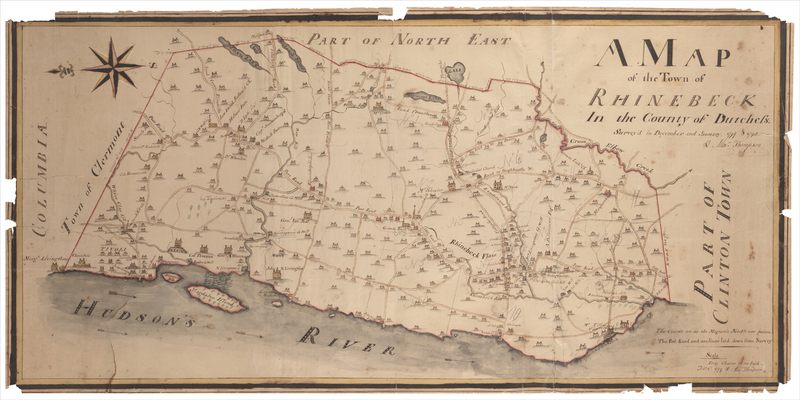 We have assembled a panel of community historians to review the entries before their publication on an updated map. Future crowdsourcing projects will overlay later maps onto this project to continue data collection. The Center for Experimental Humanities at New Annandale House is open to the Bard community! Click HERE for more information about booking the space. Check out our newsletter! Sign up here.